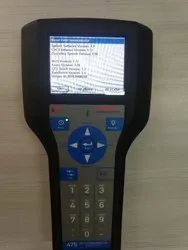 Wholesale Trader of a wide range of products which include emerson 475 hart communicator, used emerson 475 hart communicator, rental emerson 475 field communicator and emerson ams trex device communicator. The Emerson Process Management 475 Hart Communicator establishes the new standard for handheld communicators. With a full-color user interface, powerful diagnostic capabilities, and fast start-up and operating times, the 475 will power your experience and simplify your work in the field. 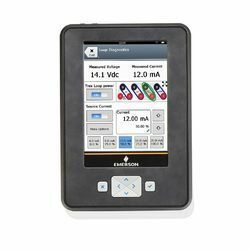 The Emerson 475 Hart Communicator supports all HART®, FOUNDATION™ fieldbus, and Wireless HART™ devices and allows you to upgrade your HART 475 Field Communicator onsite using the Internet. 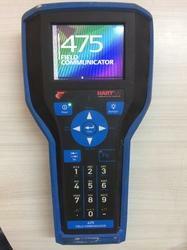 We are suppliers of Emerson 475 Hart Communicator. These are used Emerson 475 Hart Communicator.